One of the first blog posts that I ever did was a cupcake post. The recipe was one of my top ten posts for a long time. But one of the main nuggets of feedback that I kept getting from readers regarding the recipe is that the flavoring made the cupcakes too tart. Well, I’m here today to say that I have completely resolved that problem, and I have found an excellent way to flavor cupcakes with no tartness– just yummy, berry flavor. 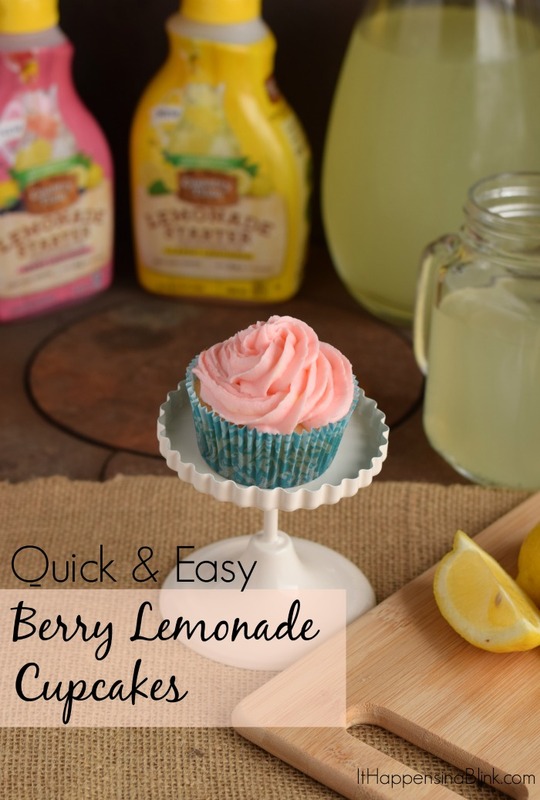 These Berry Lemonade cupcakes taste just as great as your local bakery’s cupcakes but with the convenience of making them in your own home. One of my time saving secrets that I’ve learned over the years is to use box cake mix, but I also use add-ins to make it my own. 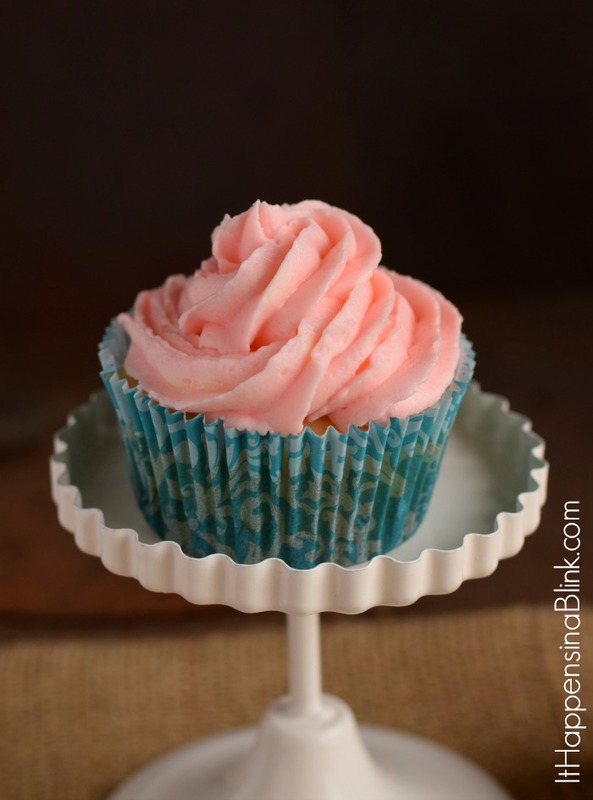 These Berry Lemonade Cupcakes have a secret ingredient that I’m sharing with you today. This secret ingredient adds just the right amount of flavor without compromising the taste of the cupcake. Mix the cupcakes as directed on the package. Add in 1 tsp. of Country Time Lemonade Starters in Berry Lemonade. This will give the batter just a hint of the berry flavor. Bake the cupcakes as directed. Soften the butter while you sift the sugar. Add the sugar and the butter to a large bowl. Stir with a mixer until it is fluffy. 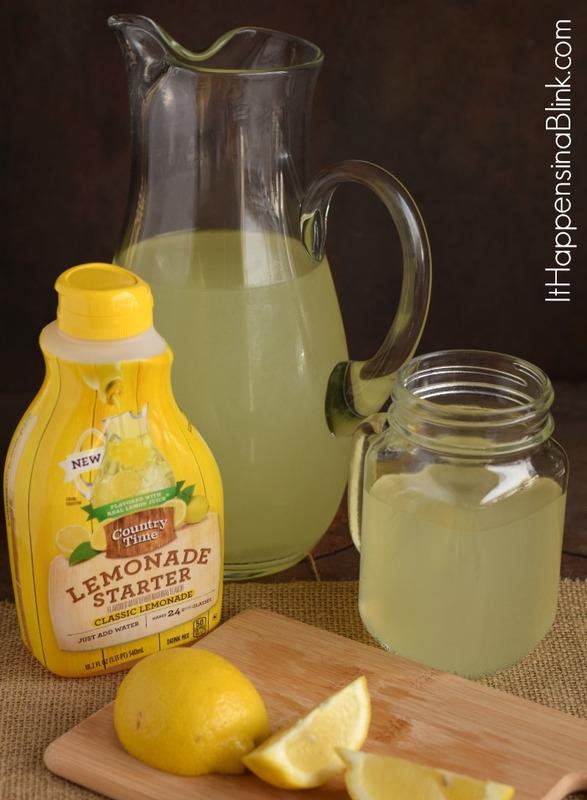 Add the 2 teaspoons Country Time Lemonade Starters in Berry Lemonade. Mix completely. Add the powdered sugar, one half cup at a time, until it is thoroughly mixed. If the icing is too dry and stiff, add just a splash of milk. You could also try adding another teaspoon of the Country Time Lemonade Starters in Berry Lemonade to taste if you desire more berry flavor in the icing. I also whipped up a pitcher of Country Time Lemonade Starters in Lemonade flavor as a beverage to accompany our sweet treats. It’s easy and convenient to make by simply adding water. Make a pitcher full or just a glass, and it has 50% less sugar than leading regular sodas. 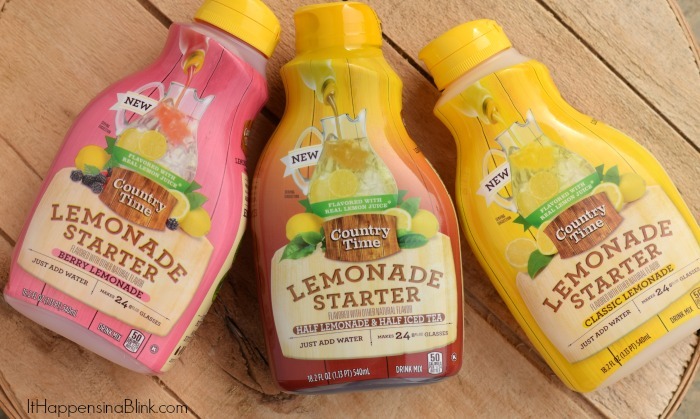 The Country Time Lemonade Starters are sold in three varieties- Berry Lemonade, Classic Lemonade, and Half Lemonade & Half Iced Tea. They are perfect for any upcoming parties or summer entertaining because they are an affordable way to provide beverages for a large crowd. 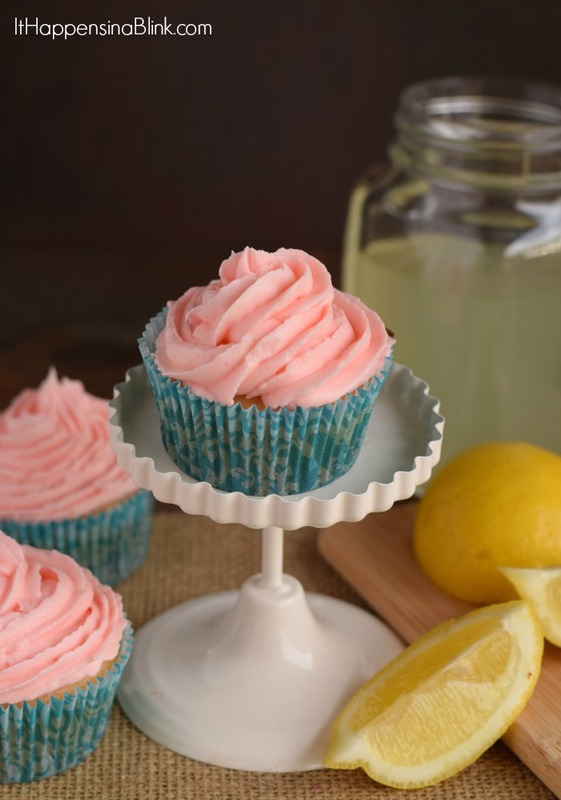 As an additional plus, the Country Time Lemonade Starters can be used for other purposes– like Berry Lemonade Cupcakes– which can cut down on the amount of ingredients that you have to keep on hand for flavoring desserts! 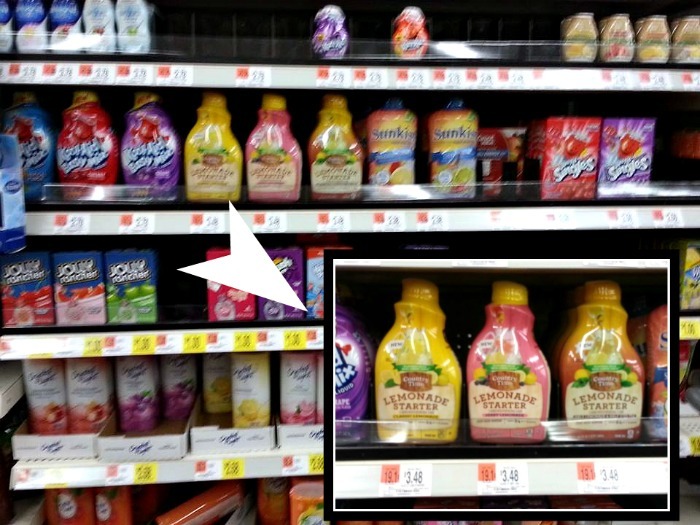 I found them in the drink mix aisle at my local Walmart. Many Walmarts have upcoming demos scheduled where you can try out the Country Time Lemonade Starters. Check the March Demo List and the April Demo List to see if there is a store near you! These cupcakes are sure to be a hit at your spring and summer festivities. Surprise your friends with these quick and easy cupcakes that are bursting with berry lemonade flavor! Your cupcakes are gorgeous and the recipe sounds delicious! 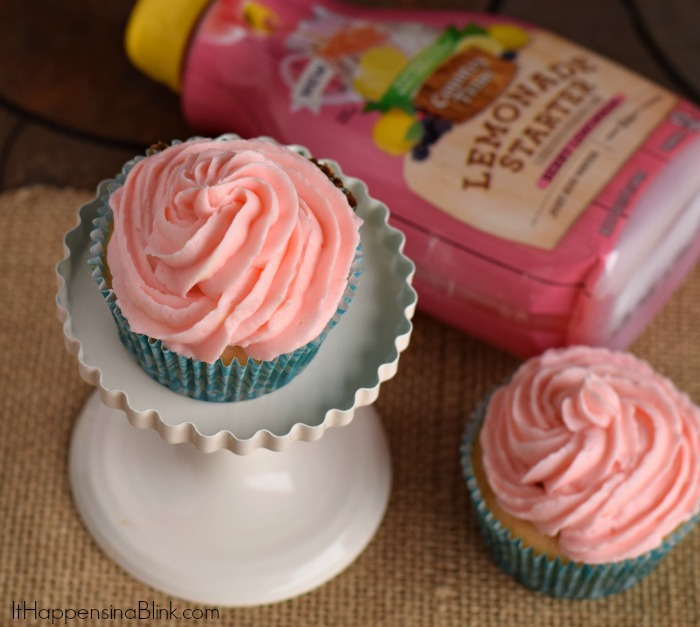 Berry Lemonade in a cupcake sounds terrific! These sound perfect for spring. I love using boxed cake mix as a shortcut and just adding to it to put my own spin on it. Great idea! I love Country Time, definitely pinning to try soon!